Maharashtra Housing and Area Development Authority has opened online registration and filling up of application form for Mumbai Lottery 2018. Through the official website of MHADA Lottery 2018 the applicants can apply for the lottery scheme and fill in the required application form. 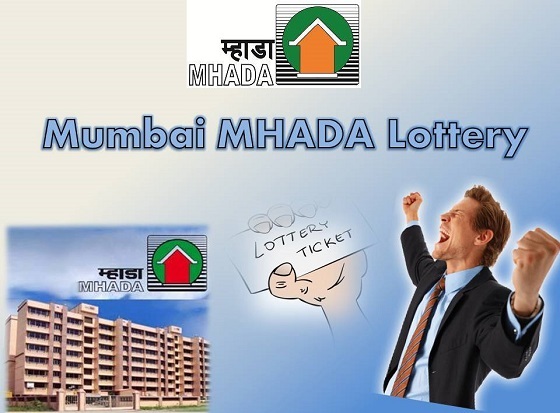 As per the MHADA lottery, a total of 1,384 low-cost houses will be given in Mumbai, and the cost of the houses will vary from rupees 14.6 lakh to rupees 5.8 crores. The houses offered under this lottery scheme will 1 BHK, 2 BHK and 3 BHK flats with multipurpose rooms. The interested applicants will have to pay rupees 366/- for this lottery. The last date for filling the application form and making any required changes in the application form is 10th of December 2018. The cheapest flats are available in Chandivli for rupees 14.6 lakh. The costliest ones are of the size 965 square feet to 1000 square feet. The costliest ones are located at Dhavalgiri towards to the southern part of Mumbai for rupees 5.80 crores. The details of the type of flats, carpet area of the houses and the total number of apartments that have been put on sale under each category has been provided in the advertisement. How to apply via the application form? First, the applicants will have to apply in the official website of MHADA lottery.mhada.gov.in and go to the home page. Following this, the application form comes up and the applicant has to fill up the same by entering correct information. After they enter details like email address and phone number, they will receive an OTP in the entered mobile number for verification. After this step, the users will be provided with username and password. With the help of this, they will be able to login to the account pertaining to this lottery scheme. The next step is to fill the MHADA lottery application with address details, bank transaction details, PAN card or Aadhaar card. In addition, the applicant should not forget to upload digitalized version of their photograph. EWS category – Applicants whose monthly salary is more than rupees 25,000 is not eligible to apply for this lottery scheme. LIG – The salary range is from rupees 25,001 to 50,000, for the ones in the LIG class is not eligible for this scheme. MIG – Salary range from 50,001 to 75,000 for MIG category are not eligible for this scheme. If applicants want refunds, they can apply from 18 December 2018. Therefore, with the help of this lottery scheme, it will help fulfil the dream of individuals who wish to buy their home with this financial assistance.